Barrio is a restaurant and bar in Chicago that’s garnering a reputation for its great Mexican cuisine and late-night scene. A great place to go for a late-night meal and then stay until the wee hours of the morning enjoying, Barrio offers a sophisticated style of multiple chandeliers and dark, contemporary décor. It manages to be spacious and yet intimate at the same time. 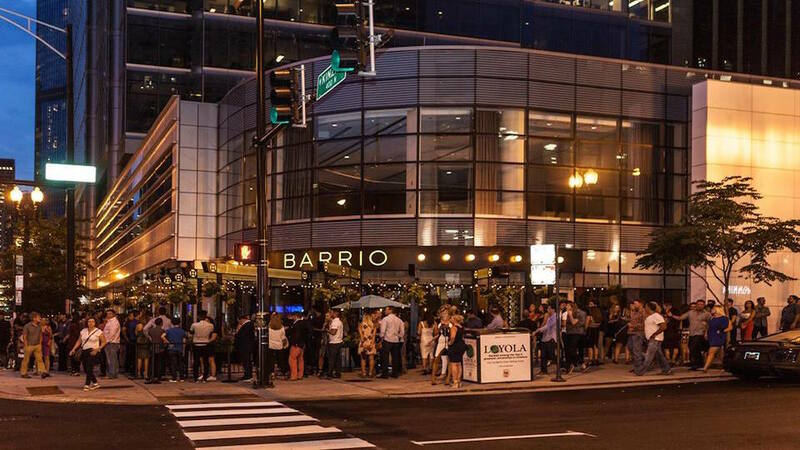 Barrio is a Chicago restaurant serving fine and interesting Mexican cuisine while also being a bar and nightlife venue that you can sit on in until late into the evening. Barrio offers long tables suitable for 10 or more people and even larger parties.